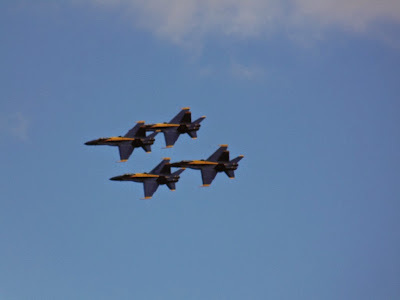 Its bonus photo time with two views of the famous Blue Angels Delta Formation. The top picture shows the Blue Angels as they were passing overhead and the bonus photo below shows them on their approach just prior to the overhead pass. The Blue Angels have a four jet group and two solo pilots. Here all six of the combine for the “pinnacle of precision flying.” It just a sight to see and hear these jets perform. Be sure to come back tomorrow for more Blue Angels photos. Today we begin our series on the Wings Over The Pacific airshow at the Joint Base of Hickam and Pearl Harbor. 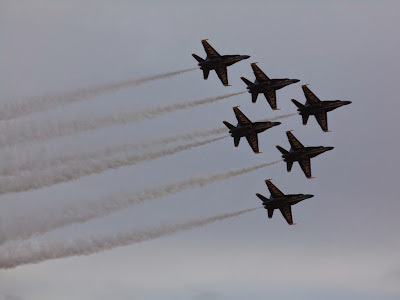 The main feature is the Navy flight demonstration squadron’s Blue Angels. Here they pass by in their famous diamond formation in their F/A 18 Hornet jets. These high-performance, tactical aircraft are designed to operate from aircraft carriers and land bases. 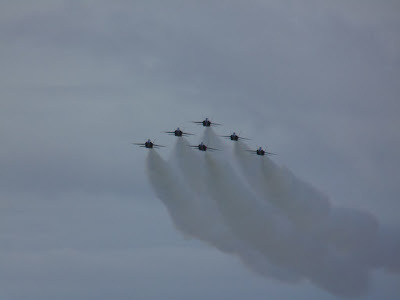 They point out that the performance shows the agility of the pilots and power of the jets and are not stunts but rather maneuvers that are used in actual combat and flight training. More on them tomorrow. Here is a beautiful red flower to conclude this mini Wahiawa Botanical Gardens series. I’ve seen these around before but I’m not sure what type of flower this is. Unfortunately there was no sign. Maybe somebody out there knows, if so please let me know. In the internet age is it pretty easy to find out almost any type of information but I have yet to find an easy way to search for something like the name of a flower. 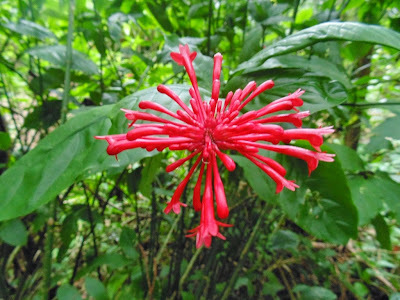 I tried Google Goggles but that didn’t come up with anything and hunts for ref flowers of Hawaii brought up thousands of photos mostly hibiscus and antherium’s. If anybody has found a good way to search things like that let me know. Hope you all have a good weekend the Blue Angels are in town and hopefully the weather will be nice.